Jeff Rasco – Attendee Management, Inc.
Jeff is the founder and CEO of AMi. 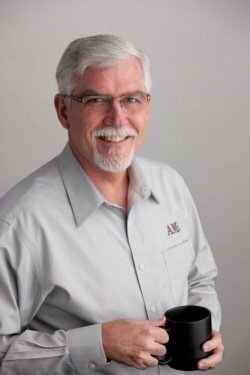 Jeff brings over 35 years of experience as a meeting and event manager with a strong focus on management and technology. In fact, he was recognized in 1996 as Meeting Professionals International’s Meeting Planner of the Year. His innovations in database management and online registration while leading the Conference Services team at Houston’s M. D. Anderson Cancer Center were some of the first in the industry. He is a frequent speaker and writer on meetings technology and is widely acknowledged as an expert in the field. He has an intense passion for customer service, which combined with his experience with technology solutions and strategic meeting management, gives Attendee Management, Inc. a firm foundation in the competitive online registration field.